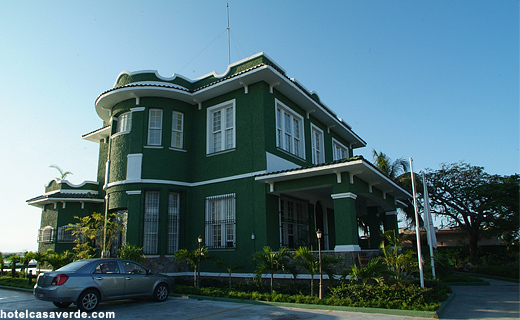 Hotel Casa Verde is a two-story Republican mansion with European influences from the early twentieth century, primarily by the Victorian and modernist styles, which prints a moderately eclectic style. Located on the shores of Jagua Bay, the house has an area of 275 square meters on two levels, the walls are of brick, concrete deck and mezzanine while the joinery is wooden guillotine windows. 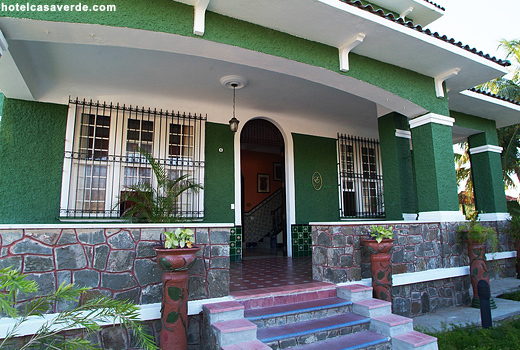 The whole ground floor has bars on all openings to the outside windows, but also cover the eaves of the porch and are topped with green tiles.